Cultural Programme St. Petersburg International Legal Forum is a unique international conference that brings together the leading minds of the legal profession. The annual SPBILF, founded in 2011, is organized under the support of the Ministry of Justice of the Russian Federation and the President of the Russian Federation. Over the years, the SPBILF has emerged as a foremost international platform for discussing a broad range of urgent questions confronting the contemporary international community of legal professionals. Laureate of the 2019 St. Petersburg International Legal Forum Private Law Prize announcement ceremony. On May 14, Forum participants will have a unique chance to enjoy a concert of Boris Berezovsky, one of the world’s most highly acclaimed pianist. Berezovsky’s musicianship has been noted for its phenomenal virtuosity, perfect sound with an extraordinary range of dynamic shades, and convincing interpretation of musical works from vastly different genres and eras. “Boris Berezovsky is a pianist of rare scenic charm. <…> Berezovsky’s playing is characterized by incredible technique and deep sound, a tremendous “fleeting” quality and stunningly beautiful piano. Here, surely, we have a worthy successor to the greatest Russian pianists,” states the influential Gramophone magazine. Legal Street is the most unusual part of SPBILF’s evening programme. 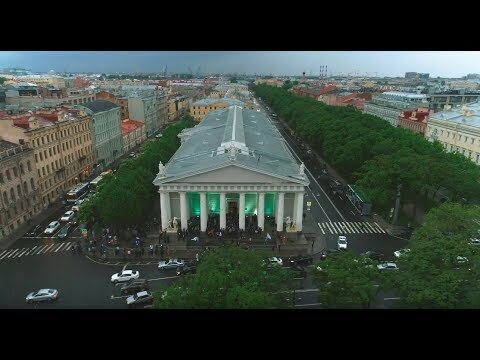 Following the tradition established in previous years, on Thursday May 16, one of St Petersburg’s central streets will change its name and become pedestrian for one day just for the participants of St Petersburg International Legal Forum, while the Forum’s partners — major legal firms — throw different parties on Legal Street. Rubinsteina street, which connects Nevsky Prospect and Five Corners street intersection is famous not only because of the fact that author Sergei Dovlatov used to live here or legendary rock bands who used to perform here and not even because this is home for Lev Dodin’s MDT theatre. Here constructivist buildings sit next to the examples of the Northern eclectic. This street is just 755 metres long, yet is a home of nearly 70 bars, cafés, restaurants, pubs, clubs, lunch dives and burger joints. In one evening Forum participants will be able to visit a gangsters’ den and an acoustic concert of a rock idol, an elegant soiree and a performance of a bombastic pop band. Cocktails and jazz, dances and DJ sets, tasting sessions, short plays, prize draws, rave parties and bar hopping — that’s what Legal Street is about. St. Petersburg State University, as one of the top-rated law schools of the country, will host SPBILF participants at Reunion - Big Festival of Science and Culture. The event includes popular science lectures, sessions with opinion leaders from arts and culture, business, IT and media, interactive work-shops, exhibitions and visits to research labs of the country’s first university. Please join us at the atmosphere of summer outdoors festival.